Task: to create a set of background images. A pattern was created for use in appearance of Yandex.Kit-powered phones and tablets that resembles fish scales and water ripples. 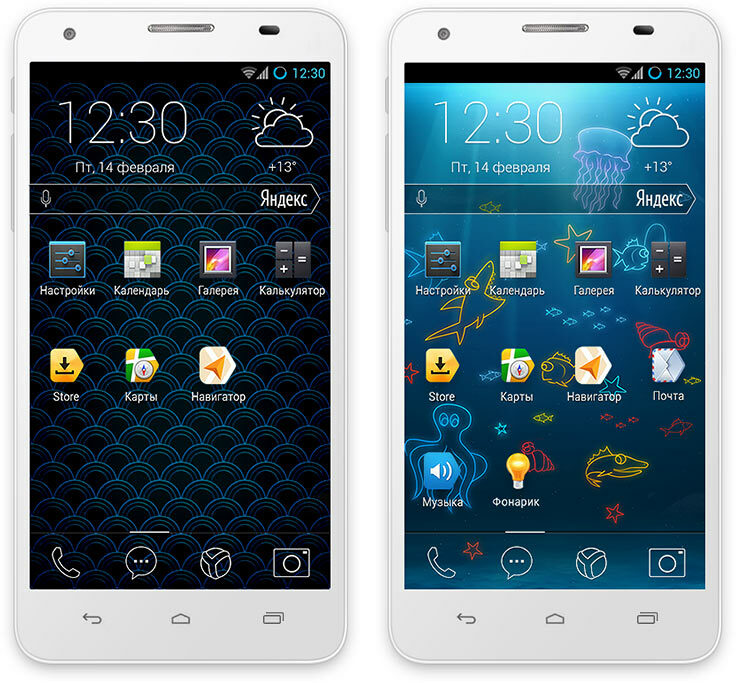 Two background images were created in addition to the pattern featuring sea creatures and modern wireless technologies.